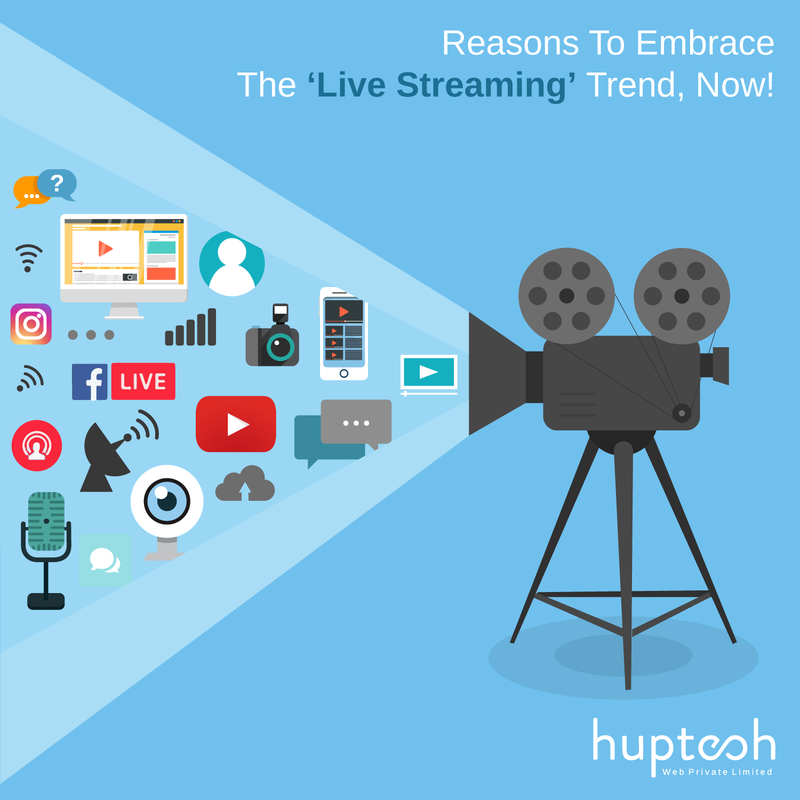 3 Reasons To Embrace The ‘Live Streaming’ Trend, Now! What would you have done to talk to your customers one-to-one before the era of social media? You would have hired an event manager to organize the event. A marketing manager would have publicized the event. You would have had to pay for the venue, security, elocution equipment, etc. And after executing these time-consuming and pocket emptying practices to get in touch with your customers, could you guarantee the success of the event? Probably this is why hardly brands communicated with their customers one-to-one. All of this changed when social media introduced the feature of ‘Live Streaming’. Brands can reach their users in seconds and actually answer their queries without investing a dime. But the fact is, in spite of live streaming being a convenient and an on-point marketing approach, local and mid-sized brands are still hesitating to conduct a live session. You must defeat your virtual barriers and try the new-age tactics to stay in the race. Besides, it is genuinely the perfect way of reaching your core customers. If you are not convinced yet, here is why you must get in the boat to avoid its use as a life-saving jacket! 1. Live-Streaming Is Not A Fad, It’s Actually Embraced By The Audience And Is Growing! Statista reported an 8% growth in the global live-streaming viewership on social mediums between the third quarter 0f 2016 and second quarter of 2017. The $30 billion industry of live streaming in 2016 is expected to reach the mark of $70 billion by 2020. 2016 was a turning point for the live streaming industry as 80% of internet users watched more live videos than they did in 2015. Millions of people are preferring to watch live-streaming videos and Facebook is the most popular medium for live streaming. From the most watched live content, 56% goes to ‘Breaking News’ live videos, and 43% belongs to live concerts, speakers, and commentators. This proves that it’s probably the best medium to increase your reachability. After having watched a live streaming, 67% of viewers are more inclined towards attending the next live performance of the performer. 80% of the brand visitors would prefer to watch a live video rather than reading a blog and 82% would prefer streaming over social media posts as well. According to a survey conducted by Brandlive, 79% of the USA retail executivesthought live streaming to be more authentic and interactive way of communicating with the audience. In the same survey, 63% of the respondents conveyed that live streaming adds a human touch to their digital marketing campaigns. From all the marketing channels that feature live streaming,Facebook Live has generated the maximum respondents and viewers of live streaming content surpassing YouTube. If you don’t want to start with all the mediums, Facebook could be the ultimate choice. Giving product introductions and demos live on social media has proved to be a successful engagement strategy which also increases the reachability of the products. Taobao, Alibaba’s another online venture started its own live streaming platform where the ecommerce sellers can persuade the audience to use their product. They have recorded 32% of live streaming conversion rate. Yes, this means 320 products are sold for every 1000 videos watched. Several brands are conducting extensive Q&A sessions on Instagram and Facebook Live to increase their engagement. The better part is that consumers are actively participating in these sessions. Yes, we encourage all the business owners out there to go live and connect with their audience purely on the basis of the facts and numbers. However, we also believe that live streaming or videos won’t become the sole marketing channels anytime soon.